The Dutch city of Leiden Holland (Leyden in Dutch) is a picturesque community located in the tulip-growing district in the Netherlands. Home to the oldest university in the country, Leiden features spectacular landmarks, interesting tourist attractions and a variety of museums. 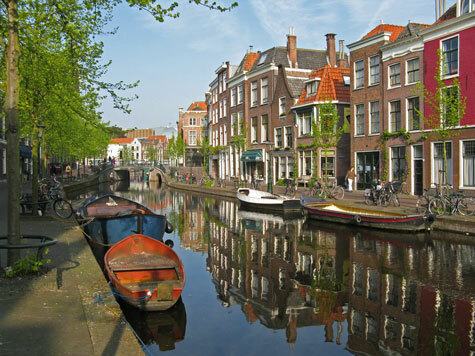 Leiden is located south of Amsterdam and a short distance from The Hague. There are many good hotels available in this university town. Tourists can enjoy the community's picturesque canals, parks and gardens. Visitors arriving at Amsterdam's Schiphol Airport can catch a train directly from the airport to Leiden Central Station. Many hotels are available near the airport and also in nearby cities such as Den Haag (The Hague).